To learn more about any of these homes or to receive custom notifications when a new property is listed for sale in Prairie Village, give us a call at 317-449-2964. Super cute and will not last long in this market! ! 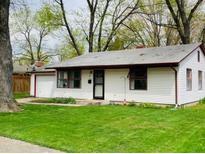 MLS#21635555. Bowman & Associates, LLC.